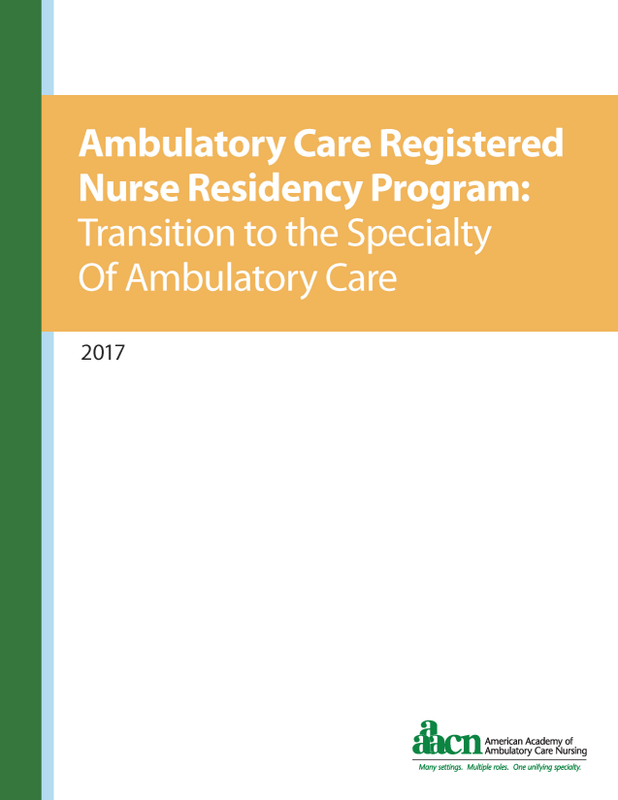 The Ambulatory Care Registered Nurse Residency Program is an evidence-based resource that ambulatory care facilities can use to help RNs attain the knowledge and skills they need to practice in the ambulatory care specialty. The table of contents pages will open in a new window in Adobe Acrobat format. If you do not have Acrobat Reader, it is a free download available from the Adobe Web site. features downloadable and customizable Word templates, checklists, guides, and forms. Examine barriers and challenges in implementing a transition to practice program. *Note: You must be a AAACN member to join the RN Transition to Practice & Residency Community. When you follow the link to join the Community, you will be prompted to log in to your AAACN member account. After you log in, you’ll be redirected to the RN Residency Community page. Click Join Community on the right side of the page, select your email digest preference, and you’re in!